We were asked to review* My Carry Potty from Cheeky Rascals. It is a travel potty that is like a little suitcase, totally leak proof and doesn't need liners. 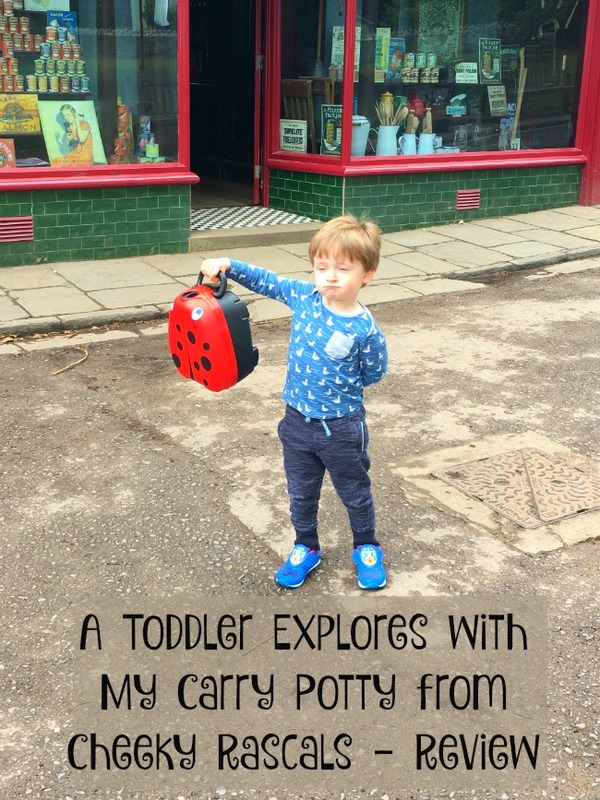 We love going out and writing our Toddler Explores series but potty training terrifies us. It didn't seem so daunting when ours were little. I didn't worry so much about accidents in public places. I mean they are only little and if happens, it happens. 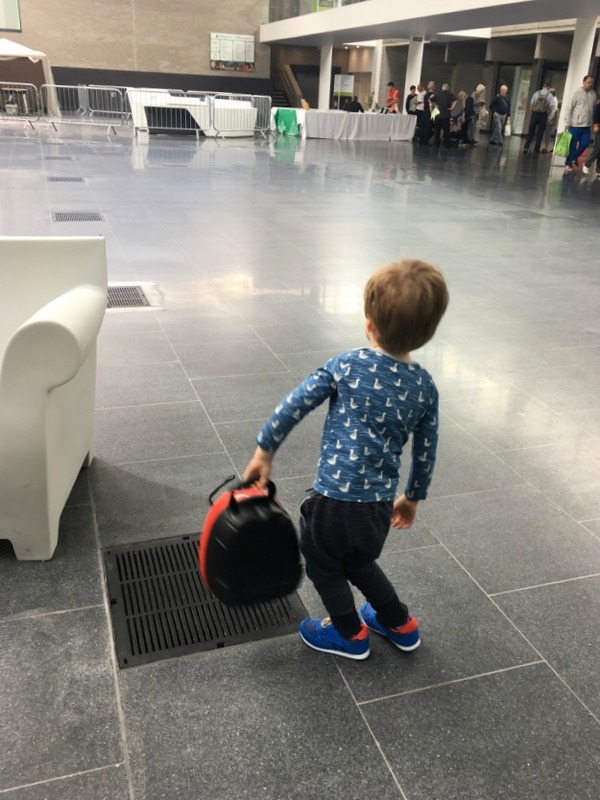 Bear hasn't started potty training yet, all the advice we have been given is to wait until he is ready but I want to be prepared and a travel potty was top of my list of must haves. My Carry Potty is designed to be used out and about. The idea is to open it up, place on a safe surface, do the business and close it. All contents are safely stored until they can be disposed of in a toilet. 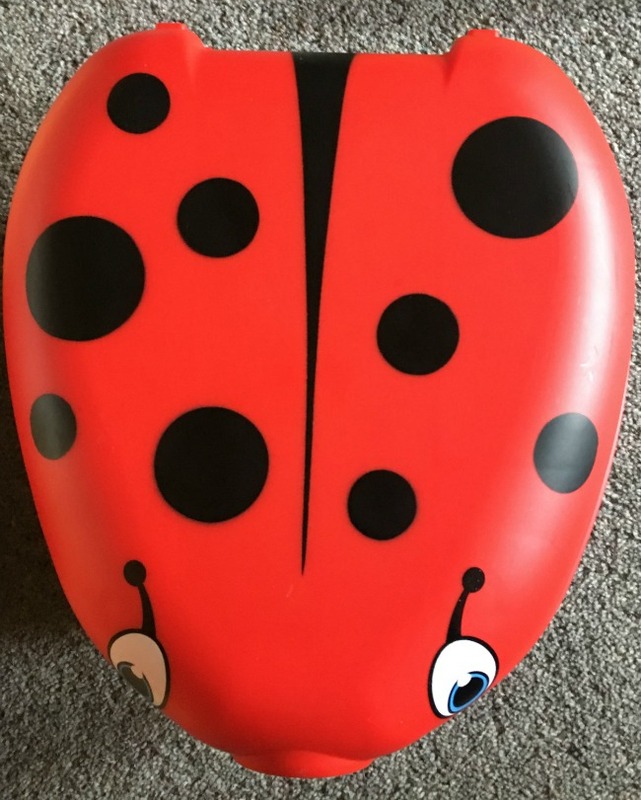 The My Carry Potty comes in three bright and child friendly designs, a ladybird, a bee and a cow. 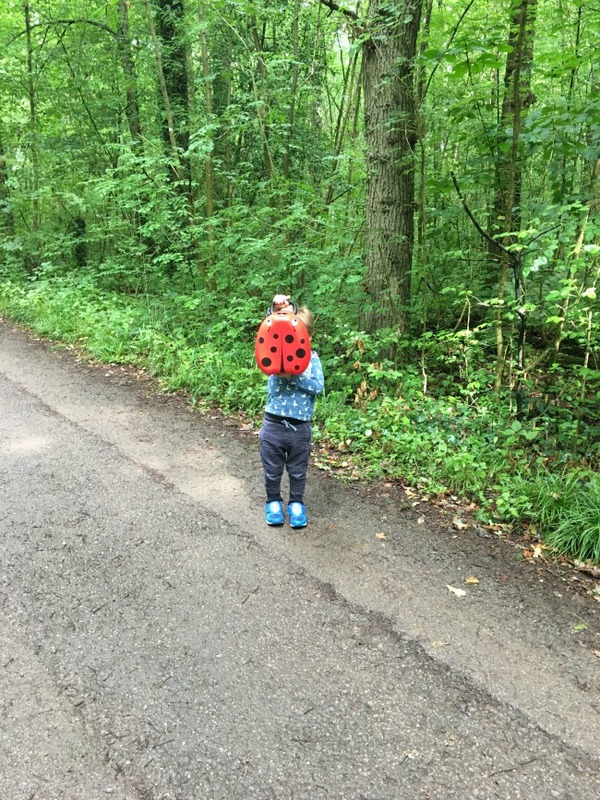 It was difficult which one to choose but Bear had discovered ladybirds last week so ladybird it had to be. I was only going to introduce it to Bear this week, just to let him get familiar with it. I half expected a petulant, "don't want to" but no, he wanted to sit on it straight away and not only did he do a wee (then a poo, yeah!) he also managed to close it and pick it up before I could stop him. I held my breath, and nothing. No leaks, my living room carpet was safe. So we took it for a proper test drive. Bear wanted to carry it some of the time and it fitted in the basket under the buggy easily (with room for a pair of wellies) when he didn't. We took it to a museum. Bear posed, he danced, he held it high. He was the perfect model for the potty. I had no expectations at all. He has only used a potty indoors and wears pull ups when we are out. 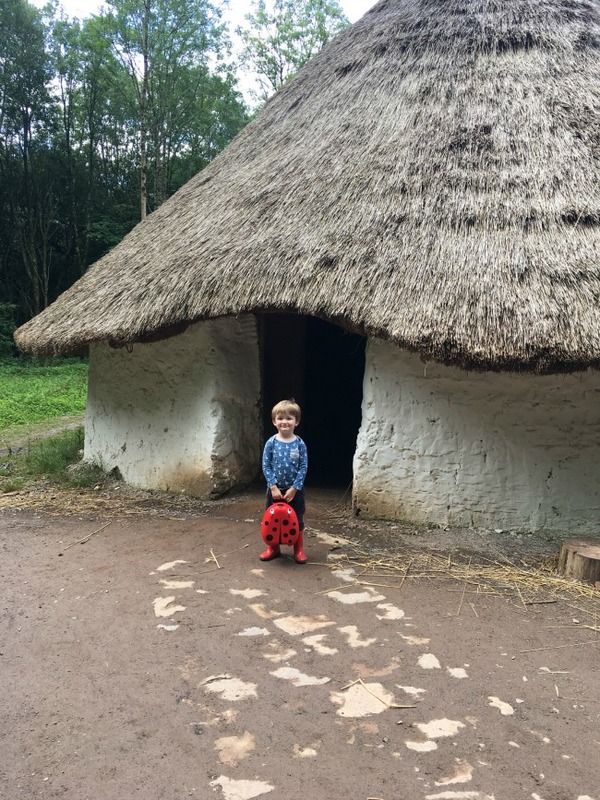 As we exited the Iron Age Roundhouse I asked Bear to pose one more time and as I went to hand him the potty he pulled his trousers and pull ups down. 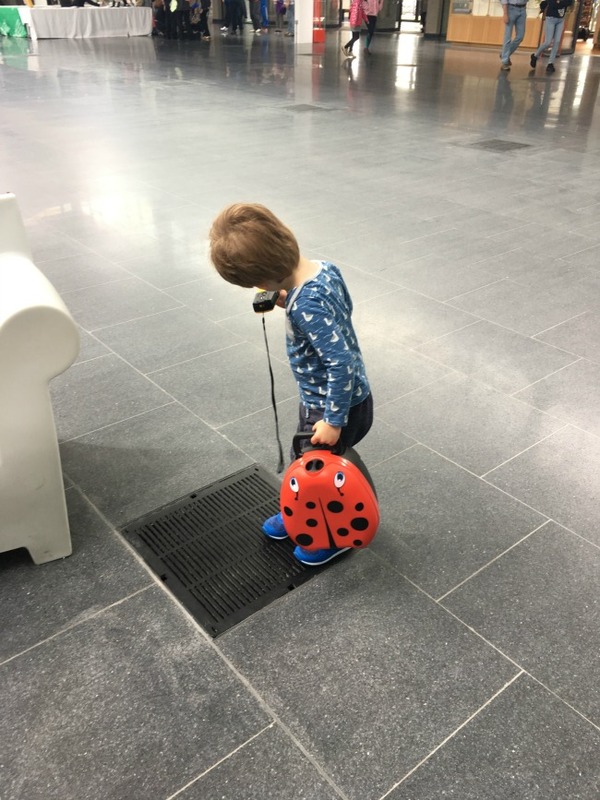 Now this is at a very popular museum in the summer holidays, (as you can imagine it was very busy) I picked him up, ran around the side away from view and opened the potty. Bear was not phased at all. He sat down, did his wee, had a little shake and gave me a big smile. That was all I needed, I do not need to do any more test runs. Bear loves it so we love it. This potty is bright and light. (Bear had no trouble carrying it or holding it above his head). I know it will make our potty training journey less stressful. Just a final note it was too difficult for Bear to open which I think is a plus, no chance of him opening a full potty. He could close it by putting his hands on the top and using his body weight, he managed it every time but I would double check before lifting and swinging it into a car boot! It looks very small but Bear thought it was perfect and comfortable. I would recommend this as a fun way to ease the stress of potty training when out and about. We will definitely be taking it out with us again. 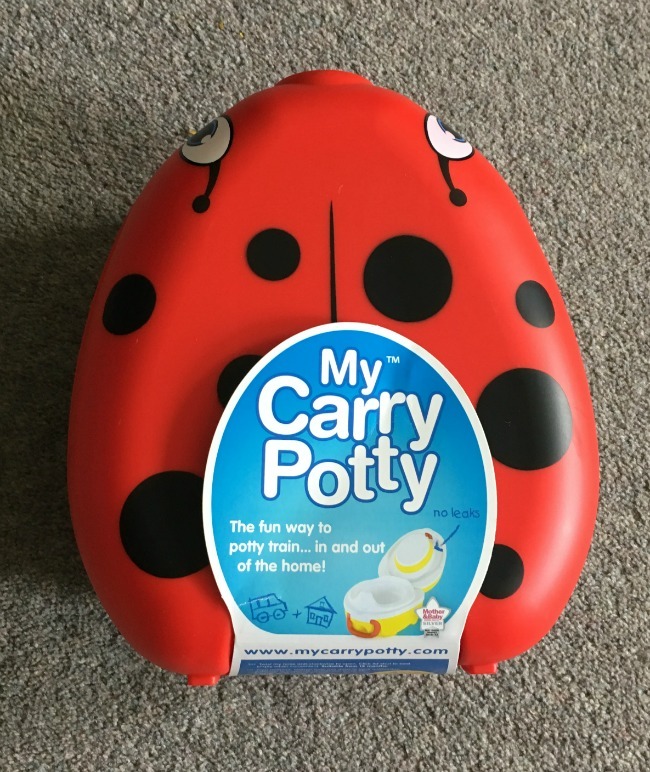 My Carry Potty is available from Cheeky Rascals and costs £26.99. There is also a plain yellow version for £16.99. 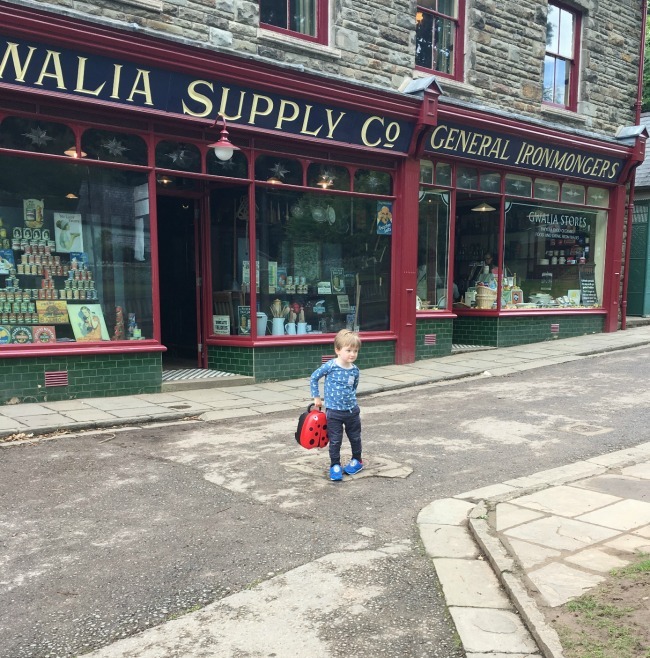 All photos were taken at St Fagans National History Museum. If you are ever in South Wales it is a must visit. It is free to enter (all museums in Wales are) and parking costs £5 all day. 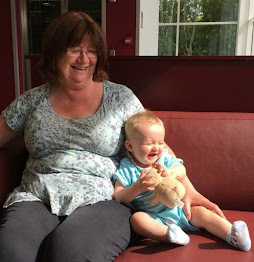 More details can be found on our post A Toddler Explores St Fagans Castle and Grounds. *Disclosure - We were given a potty for the purpose of a review. All opinions are honest and my own. Wow you really did take this for a proper test out and about! 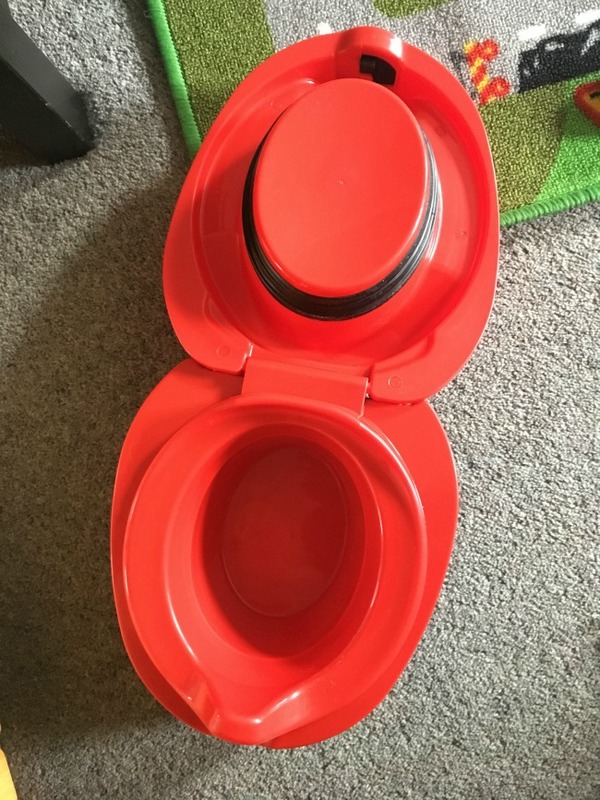 It looks like a great potty for conquering those potentially scary potty training days when you're out and about. I cheated! We went to an open air museum and took it around with us. It was perfect as the museum is so big we can be far from the nearest toilet. These are such a great idea. I can't remember them being around when my girls were little. It looks like Bear did a fantastic job of testing it. What a cute carry potty. This is a lovely idea. This is amazing! I'm going to Disneyland with my little one next month so I must get one of These. Such a great item for travelling making toilet time a heck of a lot easier. This is super cute and extremely handy for those desperate times. Love the lady bug aspect too. This is a fantastic idea. I love that it seals the contents until you can find somewhere to dispose of it.